“Preserving and Revealing History - Challenges of a Cultural Heritage Scientist”. Pittcon is pleased to announce that Dr. Fenella France, Chief of the Preservation Research and Testing Division at the Library of Congress, will give the Plenary Lecture at Pittcon 2019. What is the biggest challenge? Knowing there is no room for mistakes and this is the only one of its kind. This means we have to uncover the secrets of the founding fathers in the Declaration of Independence and in their intimate diaries. Determining who wove the wool of the Star Spangled Banner and how to save it from degrading. Then revealing the history of the creation of the map known as America’s birth certificate. What is the science that can reveal what no historian was ever able to before this forensic foray into the past? It is of course the mysterious preservation scientist who works with a myriad of arcane materials: fragile, unique and about which we have little or no documentation. Challenges posed by cultural heritage materials are so fraught that objects and documents cannot usually be examined except by using non-invasive analytical techniques in order to understand their condition and composition, document or object archaeology through a forensic-like approach to recreate the history of use, the impact of various environmental parameters and provenance. A key to linking complementary analyses is spectral imaging that allows mapping of the chemical response across a whole object, while revealing previously hidden information. Utilizing multiple complementary analyses ensure all information that can preserve the object is captured, creating huge datasets that bring with them their own set of problems. But analyzing data from diverse materials leads to exciting new discoveries, new methods of preservation, and helps to assure the future of our most precious historical artifacts. Incunabula and 21 st century objects include a range of material types – historic and modern polymers, paper and parchment, glass, metal, wood, ceramics, textiles, and all of the media that have been employed to capture and record our history, from inks and colorants to magnetic tape, wax cylinders and every manner of sound and storage media. And the ongoing challenge: continuing to preserve all these materials for future generations. Dr. France is Chief of the Preservation Research and Testing Division at the Library of Congress researching non-destructive imaging techniques, and prevention of environmental degradation to collections. 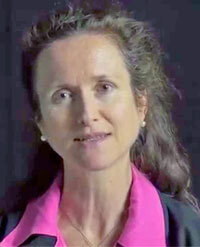 Her current focus is the development of spectral imaging and image processing techniques, and increasing links and access between scientific and scholarly data, developing and providing training workshops to preservation professionals. She received her Ph.D. from Otago University, New Zealand. After lecturing at Otago, she was the research scientist for the Star-Spangled Banner project at the Smithsonian Institution. An international specialist on polymer aging and environmental deterioration to cultural objects, she focuses on links between mechanical properties and chemical changes from environmental damage and treatment protocols. Dr. France has worked on projects including the World Trade Centre Artifacts, Pre-Columbian mummies and textiles, the Ellis Island Immigration Museum, and lighting standards for the preservation of cultural heritage. With nearly three decades of experience, she serves on a range of standards and professional committees for cultural heritage preservation and maintains close links and collaborations with colleagues from academic, cultural, forensic and federal institutions. In February 2016 Dr. France was appointed the Council on Library and Information Resources (CLIR) Distinguished Presidential Fellow.